Sen. Bernie Sanders (I-Vt.) thanked his supporters Thursday morning after raising more than 2 million contributions for his presidential campaign. "We are enormously proud that we have received more individual contributions at this point in the campaign than any candidate who is not an incumbent president," Sanders said in a written statement. "As the campaign continues to succeed, we expect those numbers to grow exponentially." Sanders' campaign said it had raised more than $3 million since Monday, when it launched a public push to cross the 2-million-contribution threshold. The campaign did not say how much money it's collected since the end of September, when it announced it had raised more than $41 million since the Vermont senator joined the race. Candidates will next report totals to the Federal Election Commission at the end of the year. According to the Sanders campaign, only incumbent President Barack Obama had collected as many contributions at an equivalent period, during his 2012 reelection campaign. Many of Sanders' more than 800,000 individual donors have given several times, according to spokesman Michael Briggs. Only 261 of them have donated the maximum allowable contribution of $2,700, Briggs said, meaning many can continue giving. Rival Hillary Clinton reported in October that 17,575 donors had maxed-out to her campaign. 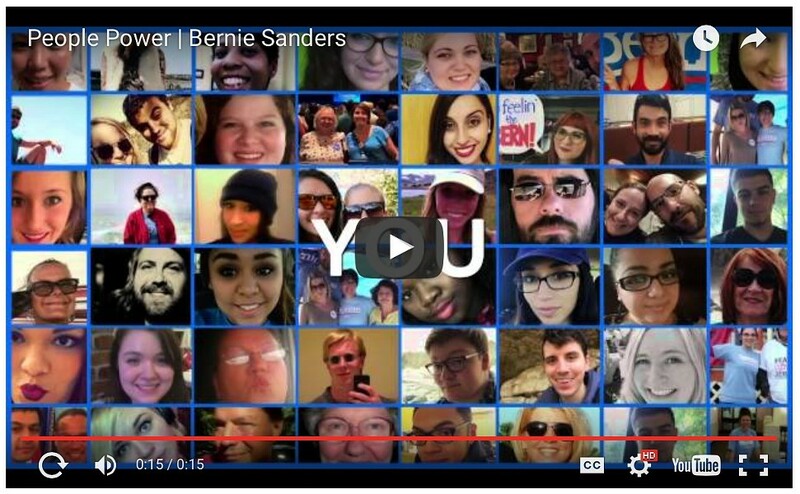 Sanders released an online video Wednesday night thanking his supporters for their generosity. “Over 2 million contributions have been made to the only campaign that rejects a corrupt campaign finance system,” he said in the ad. “You can’t level the playing field with Wall Street banks and billionaires by taking their money."